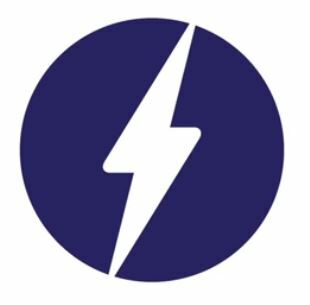 As you’ve probably heard, Google is making a huge push for all websites to use Google AMP. AMP stands for Accelerated Mobile Pages. It’s Google’s attempt to better serve content to mobile searchers. As much as Google has attempted to influence website developers and brands to go “mobile first”, the adoption has been slower than Google would like. So the latest result is Google AMP. Google has historically recommended creating a responsive design website that is flexible to serve both desktop and mobile users, but the fact of the matter is responsive isn’t necessarily the most optimal experience for users. Having a website that can simultaneously drive brand awareness, leads and sales from both desktop and mobile traffic just isn’t a possibility. It’s also been a challenge for Google to be able to serve web results to mobile searches that respond quickly and allow users to get the content they’re looking for as quickly as possible. That’s where Google AMP comes in. Google basically said “Fine, you don’t want to play? How about this?” Google is now allowing websites to create boiled down versions of their content that Google can easily analyze, digest and rank for mobile searchers. There is a very specific structure you must use so it’s not as easy as it sounds. For all you business owners, it just means there’s yet another change you need to do to make Google happy. So as you can see, there are several page components you can maintain within an AMP page. The problem is you definitely need an HTML expert to assist in creating AMP pages…UNLESS you are using Worpress. There are a few Google AMP WordPress plugins that allow for some plug and play AMPing (so to say). You do need to leverage some Schema mark up to allow for AMP pages to fully work. If you have a dedicated web development staff, have them research the viability of creating AMP pages. You need to be aware of Google AMP and pay attention to how your competition is using it. It doesn’t need to be a priority now BUT you do need to start thinking of how you’ll start to integrate AMP into your website.